Plumbr tracks every user interaction within the web application’s user interface in a browser. The most common means of interaction are clicks, keyboard / mouse events and touches. Every such interaction is monitored for its outcome and duration. If the interaction fails with any technical error, it is flagged as failed. The interaction duration is used to understand how quickly the application responds to a particular user action. 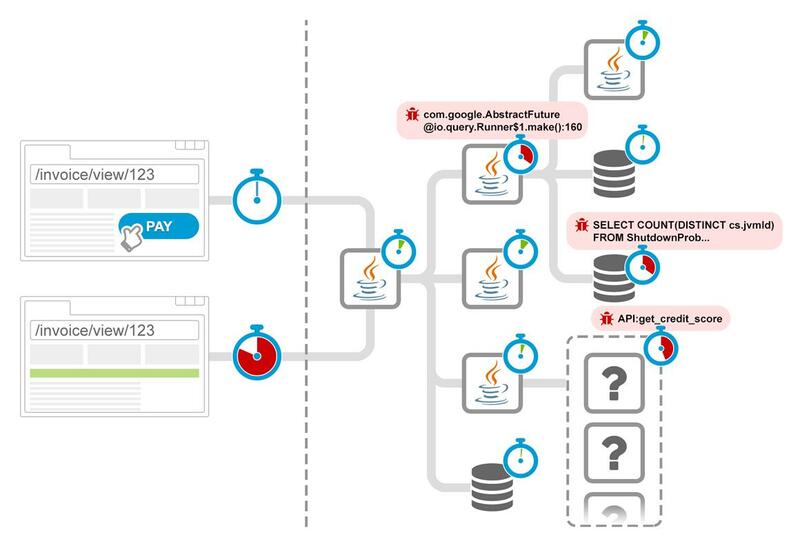 Plumbr also monitors interactions for more details in order to detect errors causing interactions to fail & bottlenecks causing users to waste their time. As a result, Plumbr is able to expose the user experience in terms of performance and availability. This is coupled with bottlenecks and errors degrading the impact, ranked by their impact to end users.